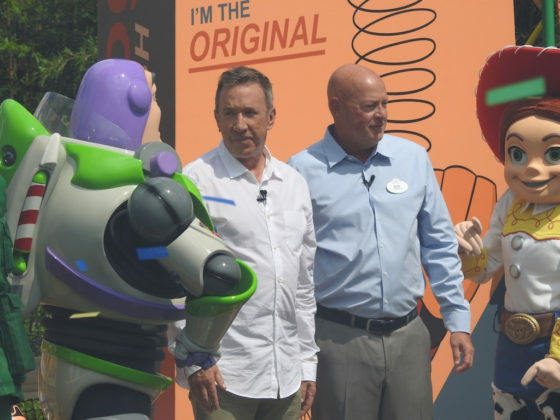 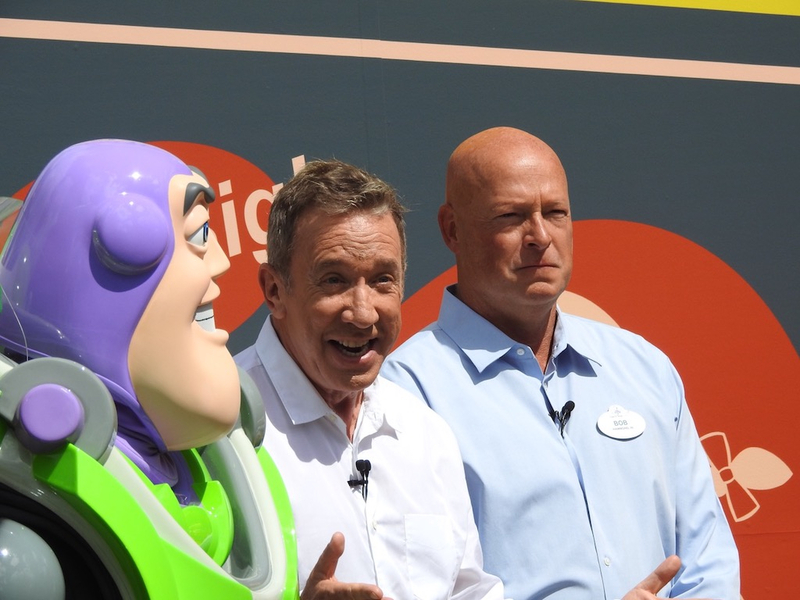 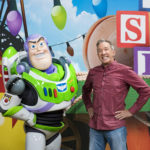 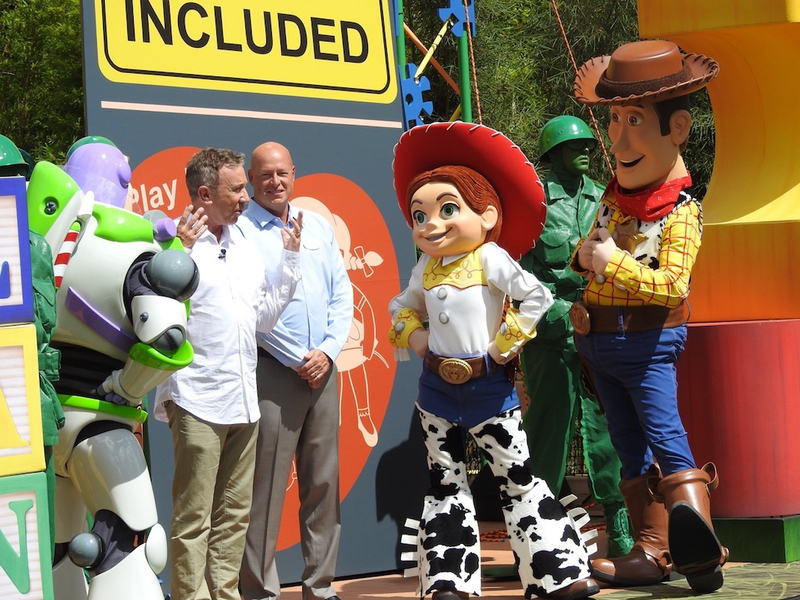 With Toy Story Land officially opening at Disney’s Hollywood Studios tomorrow, June 30th, Bob Chapek (Disney Chairman of Parks, Experiences and Consumer Products) and special guest Tim Allen (voice of Buzz Lightyear) dedicated the new land in a ceremony held this morning. 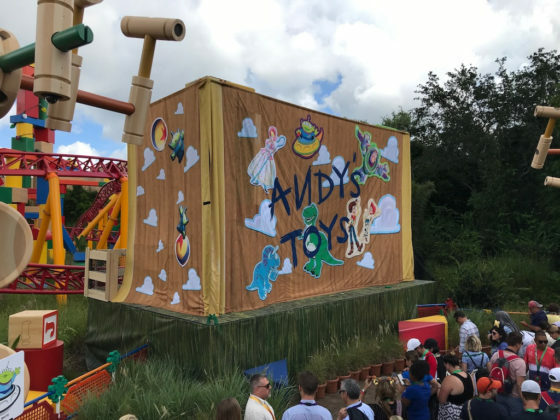 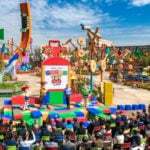 Spread out over 11 acres, Walt Disney World’s Toy Story Land is the largest in the world, topping similar offering in Paris, Hong Kong, and Shanghai. 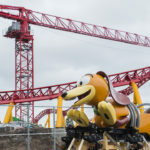 This version also features two new rides — Slinky Dog Dash and Alien Swirling Saucers — as well as a reimagined and relocated entrance for the insanely popular Toy Story Mania attraction. In his dedication speech, Chapek spoke about his experience seeing Toy Story for the first time more than 20 years ago and knowing immediately that is was something special. 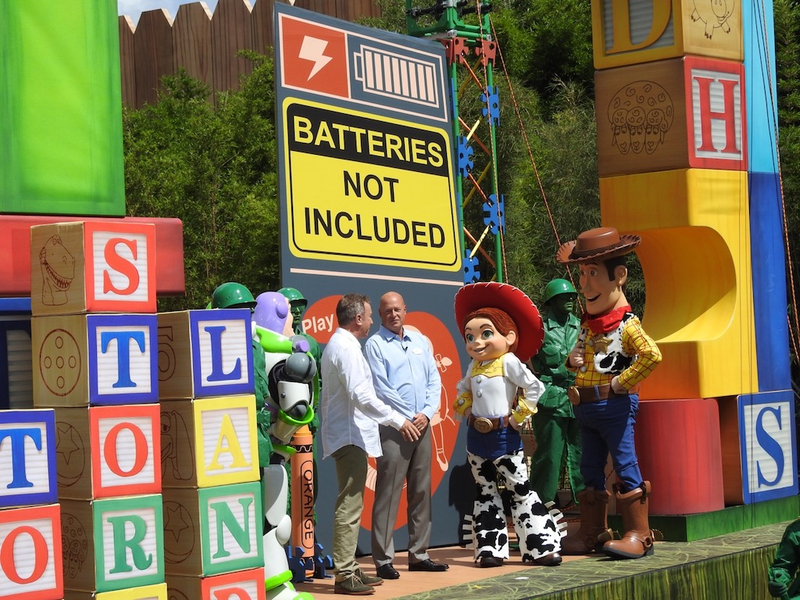 He went on to say that, “It’s no wonder that fans around the world have made a place for Toy Story in their hearts,” adding” “And what kid or kid at heart hasn’t wanted to see their toys come to life and play right alongside them?” Chapek says that was the inspiration for the land and praised Imagineers for the level of consideration and detail they put into making that dream a reality. 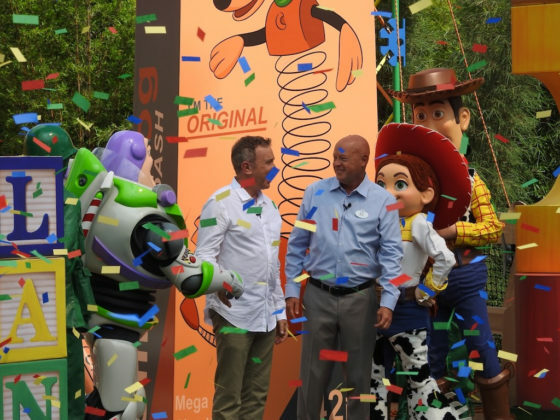 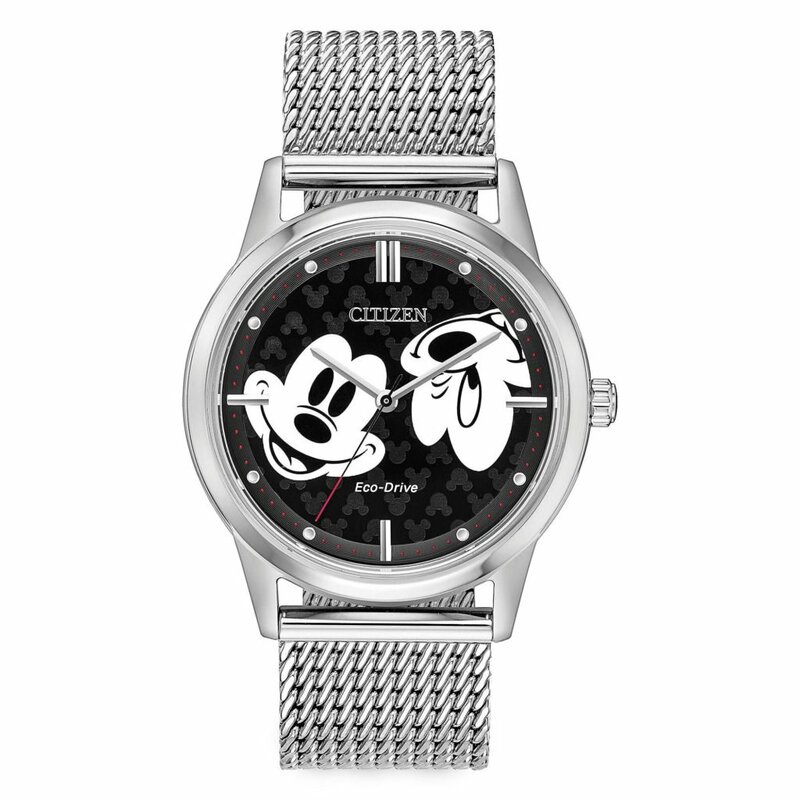 As Allen, Chapek, and some Toy Story friends pulled the lever, Slinky Dog Dash set off on his way, leading to a burst of fireworks and confetti as he passed by. With that, Toy Story Land is ready for action. 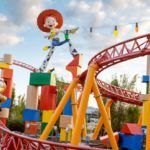 Toy Story Land officially opens at Disney’s Hollywood Studios tomorrow, June 30th.